The ballpark is located at 1214 Main Street in Hartford. Gates typically open one hour prior to first pitch. Parking is available in selected LAZ Parking lots near the stadium for $5. CTfastrak is also an option to get to games. 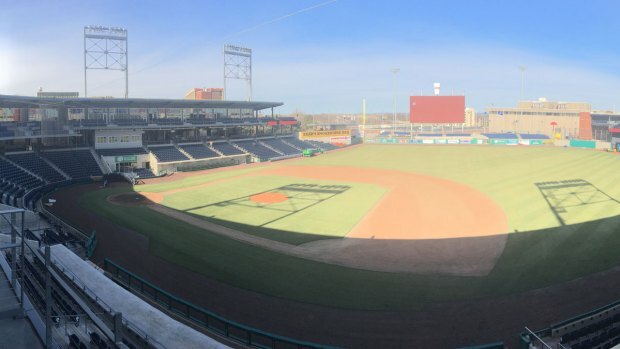 The Hartford Yard Goats are kicking off their inaugural season at Dunkin' Donuts Park in downtown Hartford. If you are heading to a game at Dunkin' Donuts Park, we wanted to provide you with all the information you need to know before going to a game. If you are plugging the ballpark into your GPS, the physical address is 1214 Main Street, Hartford. The Yard Goats have a partnership with LAZ Parking to offer $5 parking at lots at 300 Market Street, 1000 Main Street, 55 Chapel Street South and 58 Chapel Street North. CTfastrak is one option for getting to a game. The bus service runs until around midnight and has stops two to three blocks from the ballpark. Gates typically will open one hour prior to game time so for a 7:05 p.m. game, gates will usually open at 6:05 p.m. If you have tickets to the YG Stadium Club by Frontier, you will be able to gain access to the park an hour and a half before regular season games. You can take a look at the stadium's seating chart here. No alcoholic beverages can be brought into the park. All alcohol sales will end at the end of the seventh inning. In addition, no cans, bottles, plastic containers, boxes, coolers, or food packages will be allowed into the stadium, and all bags are subject to search. You can bring in consumer-grade cameras and video cameras. Umbrellas are also permitted. There are changing stations for babies in every restroom at the park. The team's Retro Brand Team Store at the ballpark is now open for merchandise purchases. It's located at the corner of Main and Trumbull. The store is open throughout games. The regular hours for the store are 9 a.m. to 5 p.m. Monday through Saturday and 10 a.m. to 2 p.m. on Sundays. For tickets to games at Dunkin' Donuts Park, you can visit the team's website here. The stadium's box office is open on non-game days from 9 a.m. to 5 p.m. Monday through Friday and 10 a.m. to 2 p.m. on Saturdays. On game days, the box office is open from 9 a.m. until the end of the game on Mondays through Fridays. On weekend game days, the box office is open 10 a.m. until the end of the game. The box office is located at the corner of Main and Trumbull Streets. ADA seating is available at the park. The team recommends you call (860) 246-4628 ahead of time to make sure your seats meet your needs. You can download the team's schedule here. 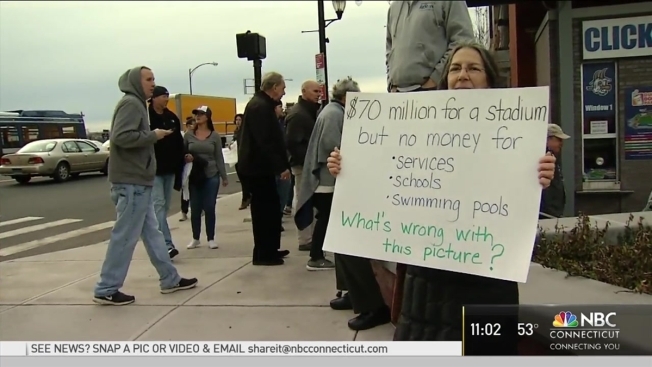 For all news about the Hartford Yard Goats and Dunkin' Donuts Park, visit our NBC Connecticut Yard Goats page.